A stunning testament to his creative genius. 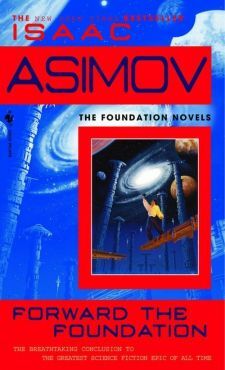 Forward The Foundation is a the saga’s dramatic climax — the story Asimov fans have been waiting for. An exciting tale of danger, intrigue, and suspense, Forward The Foundation brings to vivid life Asimov’s best loved characters: hero Hari Seldon, who struggles to perfect his revolutionary theory of psychohistory to ensure the survival of humanity; Cleon II, the vain and crafty emperor of the Galactic Empire.